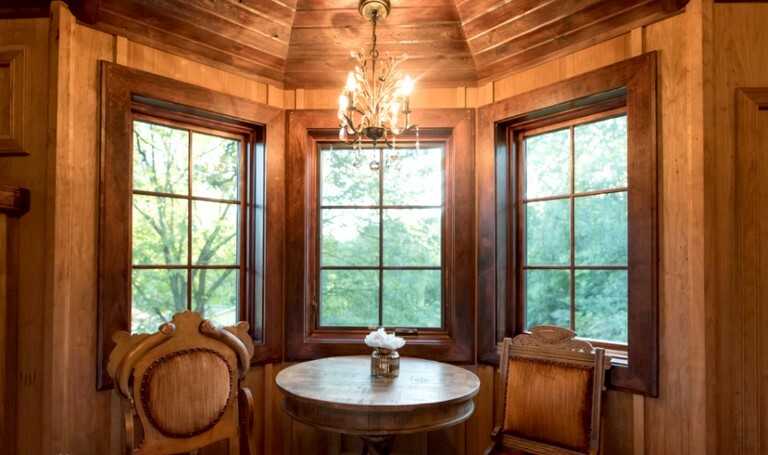 This luxury tree house rental is located on a peaceful farm in Cottage Grove, Minnesota, near Minneapolis, and can accommodate two guests. There is one bedroom, one full bathroom, and one half bathroom. The bedroom has a queen-size bed, a table with two chairs, a chandelier, and a fireplace. 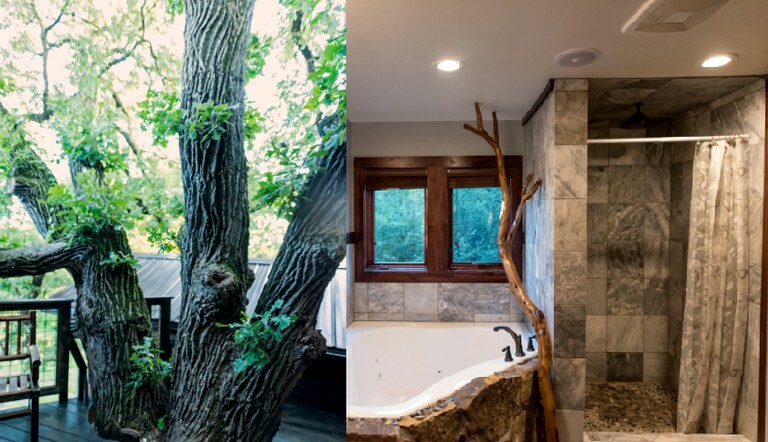 In the bathroom, guests will find a toilet, a sink, a shower, and a hot tub. Linens and towels are provided. 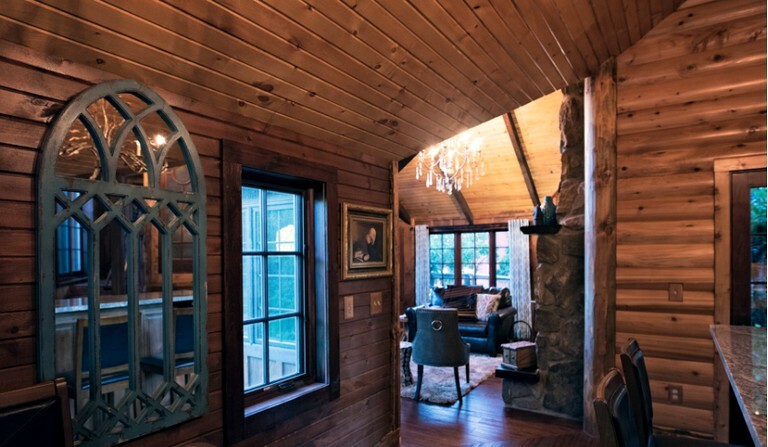 The property comes with an open loft in the front living area and a “tower feature” adjacent to the park. 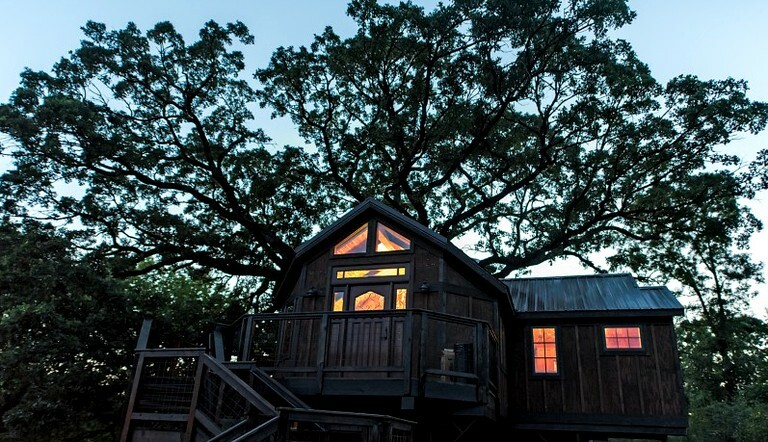 The tree house also offers four deck areas outside of the kitchen, the main entrance, the park, and the tower. 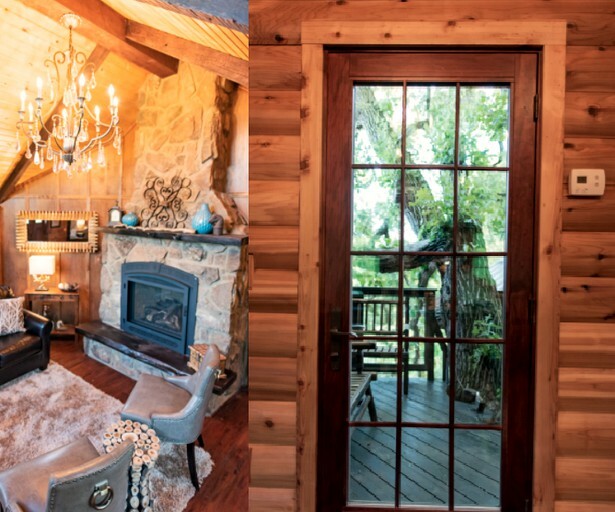 Inside, guests can unwind beside two fireplaces, one in the bedroom and one in the living area. This site can host weddings and other special events. Please contact the owner for more details. 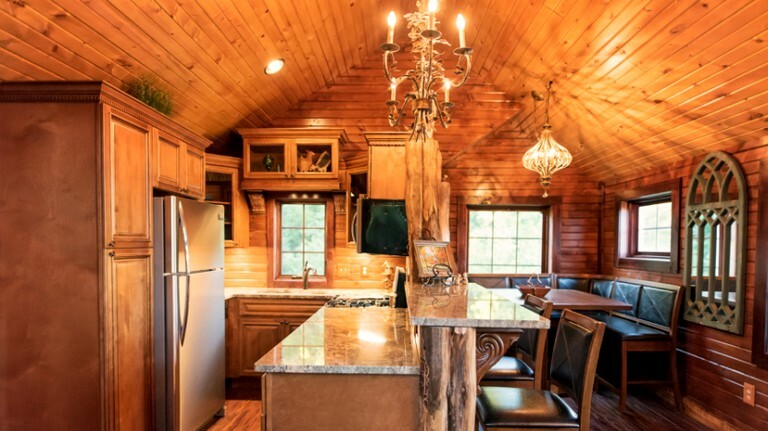 This glamping site is located in Cottage Grove, Minnesota, and is situated on a historic farm, where it is surrounded by Cottage Grove Ravine Regional Park and a scenic, rural landscape. The mighty Mississippi River runs just a couple of miles south, along with the parkland that surrounds it. 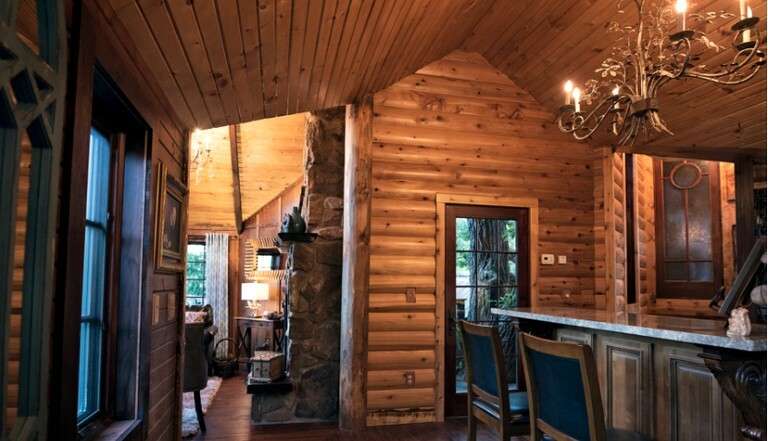 Other nearby attractions include the St. Croix River, the historic river town of Hastings, the Carpenter Nature Center, Afton Alps Ski Resort, Alexis Baily Vineyard, River Oaks Golf Course, and Mississippi Dunes Golf Links. Guests can go hiking, biking, fishing, and cross-country skiing at Cottage Grove Ravine Regional Park, which is right next to the site. They can rent boats from Great River Boat Rental, take a river cruise with Scenic River Boat Cruise, explore wines at Alexis Baily Vineyard, go skiing at Afton Alps Ski Resort, visit the historic river town of Hastings, and play golf at River Oaks Golf Course and Mississippi Dunes Golf Links. They can also visit a number of museums, theaters, zoos, restaurants, and shops at nearby St. Paul, Minneapolis, and Bloomington.